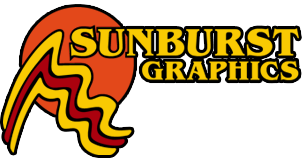 Come to Sunburst Graphics in Grande Prairie, Alberta for a custom-made design. Businesses have counted on Sunburst Graphics for over 20 years for all their signage needs. Sunburst Graphics has become a leader in the signage industry providing our customers with top of the line quality and unbeatable service. If you are looking for great looking signs and graphics that attract customers, then come see us! Let us help you get the image you want! Call us for your decal and signage needs. Copyright © Sunburst Graphics, 2013. All rights reserved.